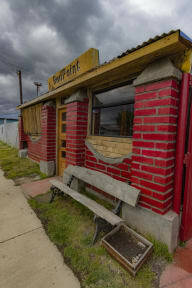 Red Point Patagonia, Puerto Natales, Chile : Rezerwuj teraz! No cancellation fee. Please let us know as soon as you know, this would be very nice! Creditcards are not accepted on ground, only cash! Thank you. be aware and respectfull of other posible guests in the hostel. 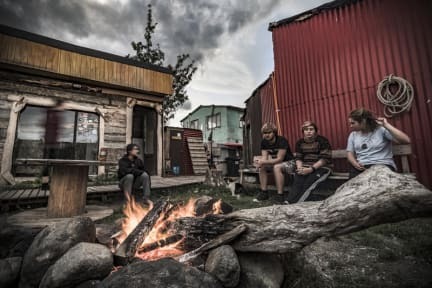 A true backpacker hostel. Run by local guides and climbers makes for an active an environment where everybody gets to join. Mixing locals and foreigners, base camp for tours and expeditions, our in house boulder room, the fire pit and friendly staff there is always something going on. We are located in one of the best spots of the city, near to some of the best tourist attractions and landmarks of the city such as Museo Histórico Municipal, Muelle Viejo, Monumento de la Mano and Parque Eusebio Lillo, amongst other interesting elements that you can visit across our city. Our double is located in the main house together with the two 4 dorm rooms. The refugio, a 6 person dorm is located in a separated building. All rooms have access to shared showers and bathrooms. In addition, we have several common areas where the guests and travellers will be able to get together and exchange past experiences and future plans.